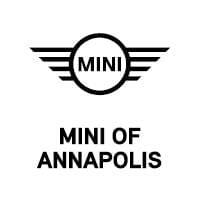 MINI drivers seeking a part or service for their vehicle can reach out to our local dealership, MINI of Annapolis. We supply drivers like you in the Annapolis, Highland Beach, and Hillsmere Shores areas with genuine parts to get your car looking and performing the way you want. Read all about our MINI parts center below, and don’t hesitate to contact us if you have any questions. Our dealership is dedicated to delivering high-quality service on any repair or maintenance your vehicle needs. This includes using only genuine OEM parts to get your car in tip-top shape. 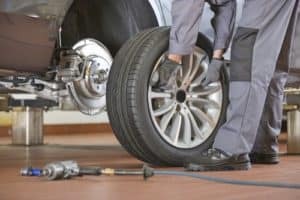 Plus, our certified technicians have years of experience working on all types of vehicles, so you can rest assured that you’re getting the kind of service that you deserve. It doesn’t matter if you need a simple oil and filter change or a more complex engine repair, as no job is too big or too small for our team. 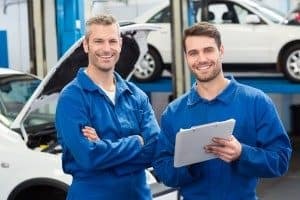 If your vehicle needs service, either give us a call or schedule an appointment online, and we’ll confirm a day and time that work best for you. If you prefer to work on your vehicle yourself, you can always order from our parts department. We offer lots of performance parts like a chassis, exhaust, gauge, and strut brace. If you’re more interested in changing the appearance of your vehicle, you can add a roof graphic, side stripes, or a grill badge. For the inside, you can get MINI LED door projectors, a dashboard checkered flag, or a 3-spoke leather sport steering wheel cover. We also have an extensive tire center, so you can find the set that’s best for your vehicle. If you’re an adrenaline junkie who’s looking to take your car to the race track, you might want to check out our performance tires. When the temperature drops, and snow falls on the ground, winter tires are great to easily handle the slippery streets. For the rest of the year, you can’t go wrong with the versatility and flexibility of all-season tires. If you’re not sure which tires are right for your MINI, contact us, and we’ll lead you in the right direction. If you need more information, or know what kind of part you need, either call us at MINI of Annapolis or fill out our order parts form. Give us info about your car and the part you’re interested in, and we’ll contact you as soon as it’s available. Our dealership is proud to serve drivers throughout Annapolis, Highland Beach, and Hillsmere Shores, and we look forward to serving you.